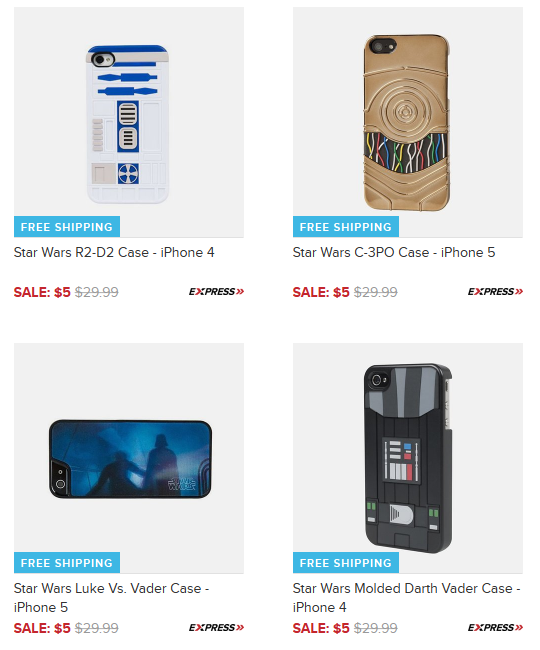 Star Wars iPhone 4 and 5 Cases Only $5 + FREE Shipping (Reg. $30)! You are here: Home / Great Deals / Star Wars iPhone 4 and 5 Cases Only $5 + FREE Shipping (Reg. $30)! Calling all Star Wars fans! You will love this next deal! Right now, grab one of these Star Wars iPhone 4 or 5 Cases for Only $5 + FREE Shipping (Reg. $30)! They have Darth, Luke Vs. Vader and more!